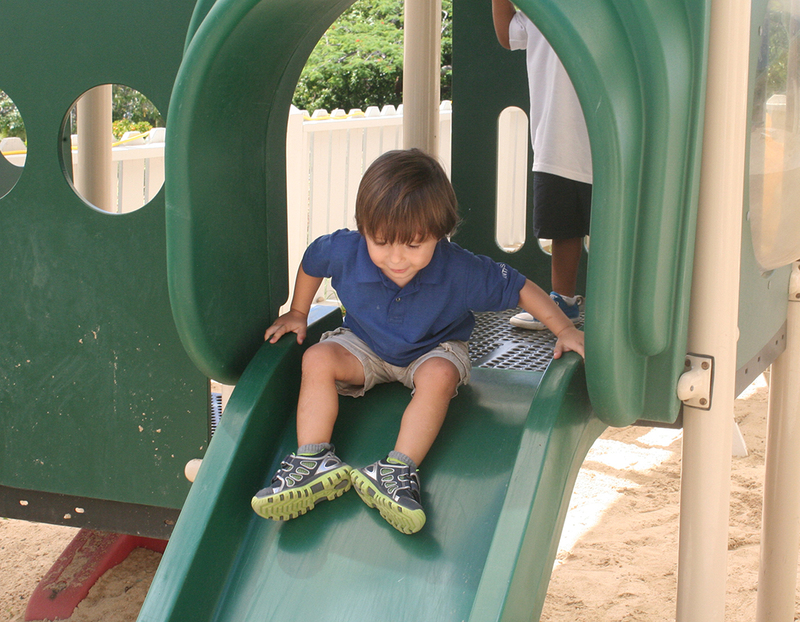 In the Antilles Early Learning Center, the focus is on the individual child. We provide experiences that match his or her developmental abilities while also challenging and stimulating the child’s interest and understanding. The ELC strives for each child to experience a sense of self-esteem, to exhibit a positive attitude toward life and to demonstrate cooperative and caring behavior. Teachers work in partnership with parents to develop the child not just academically, but socially and emotionally through compassionate interaction and thoughtful teaching and guidance. Our Toddler Program seeks to enhance the rapid changes that occur in a two-year-old’s brain development through purposeful play. Staffed by a lead teacher and a full-time assistant, the day is designed around flexible routines that reinforce patterns and activities. Our teachers focus one-on-one with children repeatedly throughout the day, encouraging them in activities specifically geared to their cognitive and manipulative abilities. Teachers consciously use their interactions with the children as opportunities to develop and reinforce language and literacy skills as well as numerical reasoning. 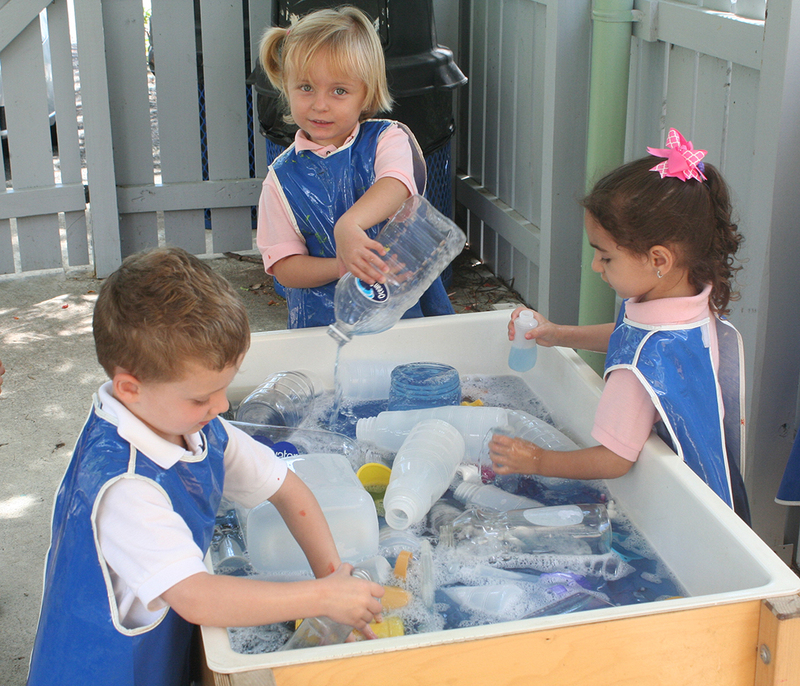 The PreK and Kindergarten Programs emphasize learning through play based on the cognitive-discovery philosophy of education. Each class is staffed by a lead teacher and a full-time assistant who oversee programs that balance teacher-directed and child-initiated activities. The environment is language-rich and our classrooms are multi-themed. An array of manipulatives inspires children to be creative, to develop eye-hand coordination, fine and gross motor skills and to learn by doing. We consider our learning tools to be conduits for creativity, enabling each child to extrapolate information and solve problems in his or her individual way. Three-year-olds and four-year-olds are grouped together, with the older children mentoring the younger children, and the younger ones staying with the same teacher the following year. In the Antilles PreK Program, we are working with children to build the connection between language and symbols, enabling them to become increasingly adept at letter-sound relationships and phonetic spelling. With manipulatives such as blocks, figurines, sand and water play, we use the Pre-K setting to start honing the child’s ability to understand mathematical relationships through counting, discerning patterns, sorting, and classifying. Kindergarten begins the introduction to our Six-Traits Writing Program which extends across the curriculum into all subject areas right up through Twelfth Grade. Teachers are emphasizing vocabulary development and are beginning to transpose a child’s spoken words into writing. For children with basic writing skills in place, teachers work with them to build their fluency in recognizing and discriminating letters and words. 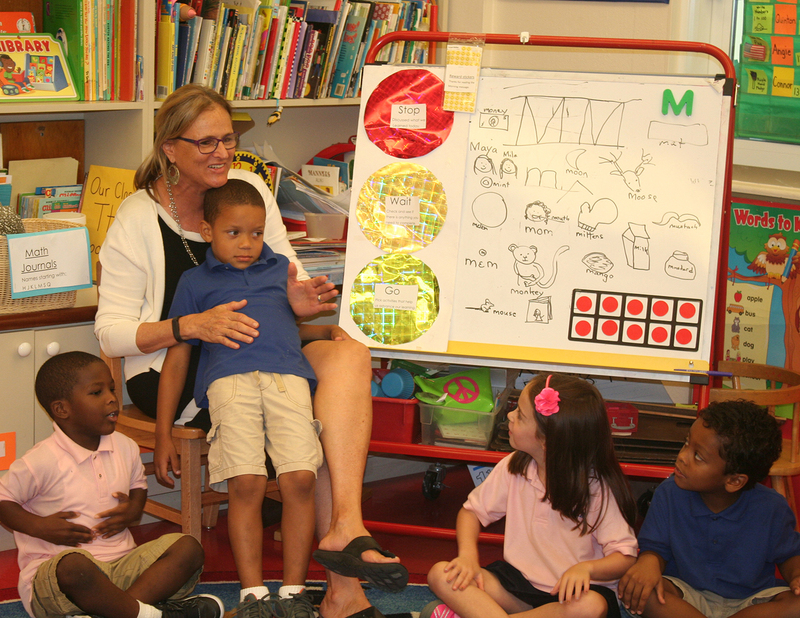 Kindergarteners are introduced to our Math in Focus program, which carries over to Middle School. Children start learning to measure and compare, to tabulate and chart and to discern monetary relationships amid a variety of counting games. Click here to read about a day in the life of a PreK student. A more formal approach takes hold in First Grade as children adapt to assigned seating in the classroom and their learning is drawn more consistently from textbooks and literature series. As word recognition becomes more automatic, children become challenged in the higher-level processes of comprehension. Math begins emphasizing number patterns, grids, money combinations and outcomes. First-graders eventually work in exploring capacity, symmetry and fractions. Children in the Early Learning Center's PK3-First Grade classes enjoy plenty of opportunity for creativity in their learning. 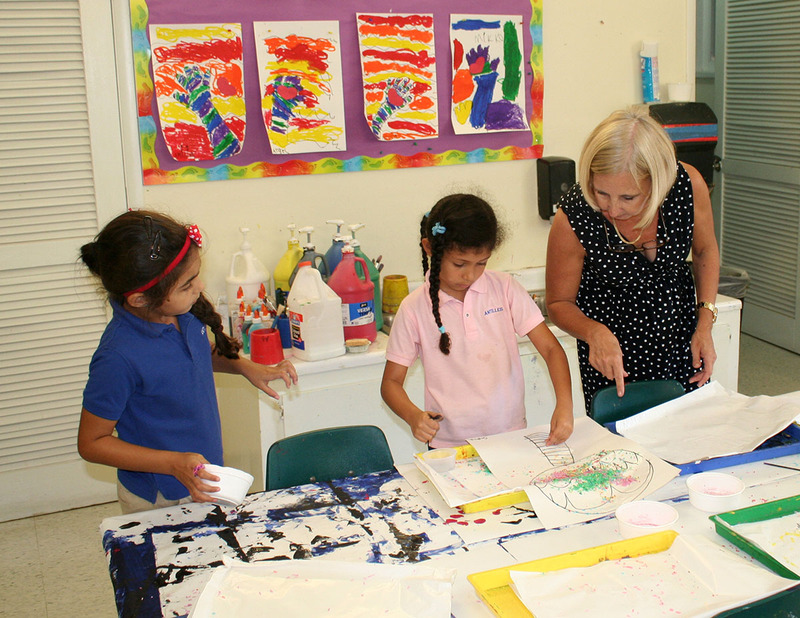 They leave their classrooms daily for an Expressive Arts program, enjoying everything from singing and playing rhythm instruments to hands-on art projects. Additionally, they have a Creative Movement class three-times a week, and four days a week an instructor comes into their classroom to teach Spanish. The children enjoy a weekly trip to the Library and occasional trips to the Mark C. Marin Center, home of our Athletic program. Toddlers enjoy Spanish instruction four out of five days a week, as well as creative movement instruction twice weekly and library visits on Fridays. Every Friday, our Early Learning Center students, PK3–First Grade, join together for a sing-a-long. Parents are welcome to attend as each week, a different class performs a song and often some choreography. For the children, it’s an enjoyable coming together of all their friends. For our educators, it’s about building confidence, leadership and interpersonal skills as the children learn to sing and perform in front of their peers and in tandem with one another. Of course, for those children not yet comfortable with the notion of performing, a warm lap is always available until the day comes that they, too, feel ready to take part. Our ELC students enjoy field trips throughout the year, such as spending a morning at Coral World learning first-hand about sea life, or visiting the local petting zoo. Other excursions include trips to the post office and the local firehouse to see demonstrations and learn about the services that support their daily lives. 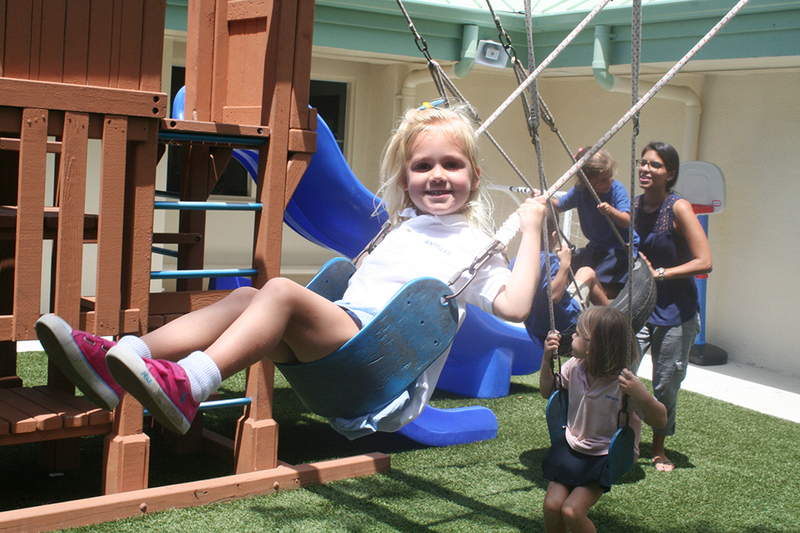 Grandparents, or special friends, join our ELC students once a year for a special visit day. Halloween is another special day as the children become the focal point, stopping classes with their Halloween parade through the Middle and Upper School campuses. Finally, each year the children celebrate the closing of School with a party at Magens Bay. Parents and teachers join together to sponsor a morning of water fun, games and food.